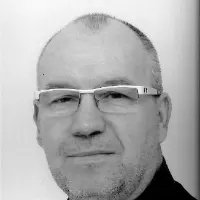 Mr. Fabien Marquis owns more than 27 years experience in induction process applications, operational experience in the global market, especially in China, USA, Germany, France and Italy. He will support the sales teams of the GH subsidiaries around the world, and will reinforce the GH presence in the markets. Over the years GH has growth to become one of the most respected providers of induction heating solutions in the world. With facilities in Europe, Brazil, North America, India and China, GH has been able to build a competent and responsive network dedicated to induction enquires. Today, GH continues to invest to offer always better process knowledge, process development and service to current and future induction customers. This appointment reinforces GH as one of the main worldwide leaders in the induction business. His experience in induction and its international background will be valuable to everyone. Mr. Fabien Marquis formally takes over his new role in September, and will be based at GH Induction Deutschland GmbH, reporting directly to the GH Group CEO, Mr. Vicente Juan.